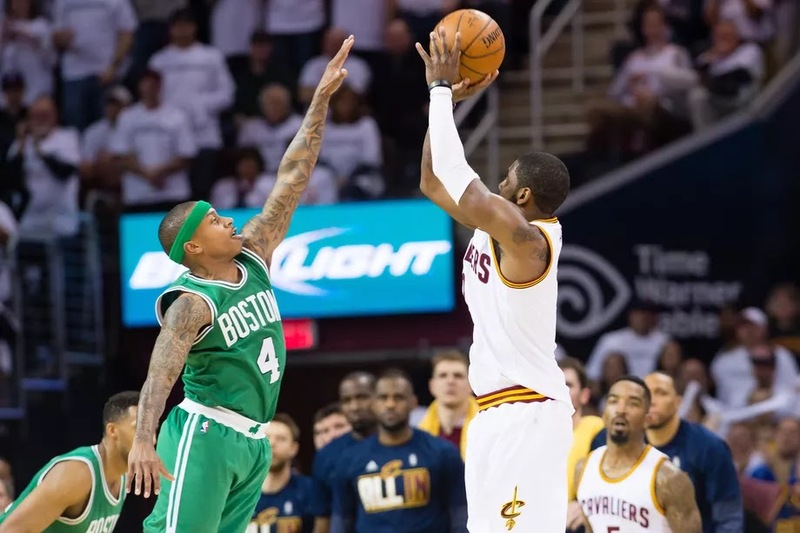 With the final game of 2017 on the books as a win against the Brooklyn Nets, the Boston Celtics have turned their full attention to the rematch with the Cleveland Cavaliers, Lebron James, and perhaps Isaiah Thomas, too. It's still not clear whether Isaiah will be cleared to play, and given the magnitude of such an event, it seems like there's a good chance he won't given the lack of hype circulating around the league about the matchup. Given all the high drama from this summer, you'd think it'd be at the top of the NBA news cycle, but the quietness surrounding the game hints at least that aspect of the game may not be in the cards. Or is it? Watch the linked videos to hear some informed opinions on whether IT will suit up against his former team - and what Kyrie Irving thinks about playing the King in the Fourth.